Governor Muhammed Abubakar of Bauchi State said on Thursday that the political history of Nigeria would be incomplete without the mention of the contributions of late Malam Adamu Ciroma. In his condolence message over the death of the elder statesman, Abubakar, who spoke through his Press Secretary, Abubakar Al-Saddique, described the death of Ciroma as a loss to the country in general. “His Excellency received the death of Adamu Ciroma as a shock because Malam Adamu Ciroma was one of the pillars of modern Nigeria. “The political history of Nigeria will be incomplete without the contribution of Malam Adamu Ciroma. “He came to the national limelight during the most critical period of social development because he was actively involved in journalism when Nigeria was immersed in civil war. ” Ciroma participated at the highest level of nation-building in mending fences, in creating political bridges across the diverse,” Abubakar said. 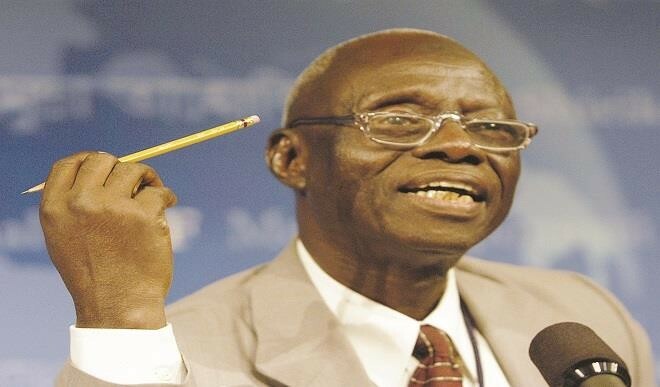 He further traced that “Ciroma further participated in the formation of NPN, PDP and invariably in the formation of civilian administration of Alhaji Shehu Shagari, and later that of Obasanjo. The governor, therefore, extended his condolence and that of the people of Bauchi State, to the Federal and Yobe state governments, as well as the family of the diseased.